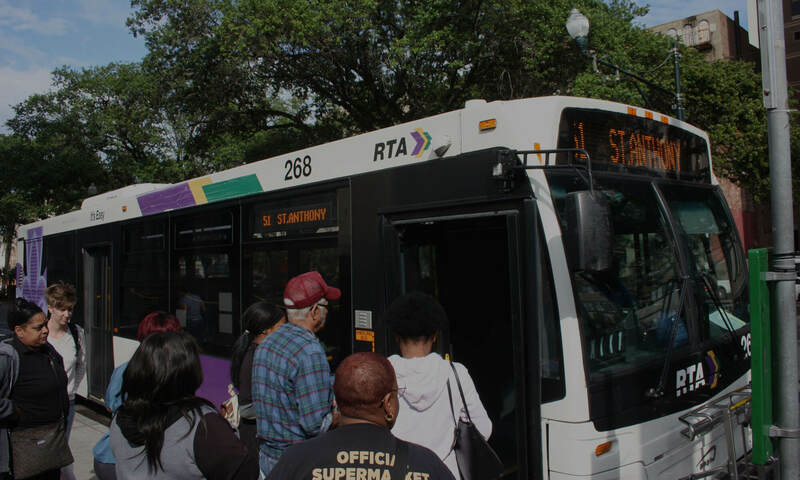 After the initial stages of recovery from Hurricane Katrina, the RTA operated without a clear and comprehensive set of goals, priorities, and action items to move forward and address the deficiencies in our transit system. This led to a scattershot approach that too often did not bring the changes transit riders needed to see. RIDE and others pushed for several years to address this by calling for a community-supported wide-ranging strategic plan. The RTA started this planning process in late 2016 and formally approved the strategic mobility plan (SMP) in December 2017. The SMP is built a framework of six goals with 129 specific implementable action items aimed to improve rider experience and transit performance. Our city has the opportunity to see real progress if these items are carried out. It’s a great first step, but we need to ensure the ideas for improvement are implemented. Why do we like the plan? 1. Great ideas for moving transit forward! A lot of other good ideas that will make life easier for transit riders, including simpler schedules, branding of bus and streetcar lines by frequency, more info at bus stops, and ‘real’ real-time data. In recent years, it’s been hard for RTA riders to push for change because there was no well-known plan, set of goals, or framework to guide transit improvements. There was no easy way for riders to comprehensively hold the RTA accountable. This plan changes that with a detailed series of action items that are well-organized by strategies and goals, and tied to clear performance measures and targets. Transit riders now have a checklist of what needs to happen and a timeline of when it needs to happen. And that’s a really important win! The plan redefines success for the RTA with a number of important metrics. Especially exciting is a goal to double the amount of jobs accessible via transit over the next 10 years. That’s an important goal that Ride New Orleans has often stressed. The challenge now is to make sure that this transit plan is not just a pretty document that sits in a glass case, but a practical road map to improving transit. We also will push the RTA board to start immediately on some important additional planning steps that will take some time to complete. Especially important is a 2018 launch of a comprehensive operating analysis (COA) and network redesign process. 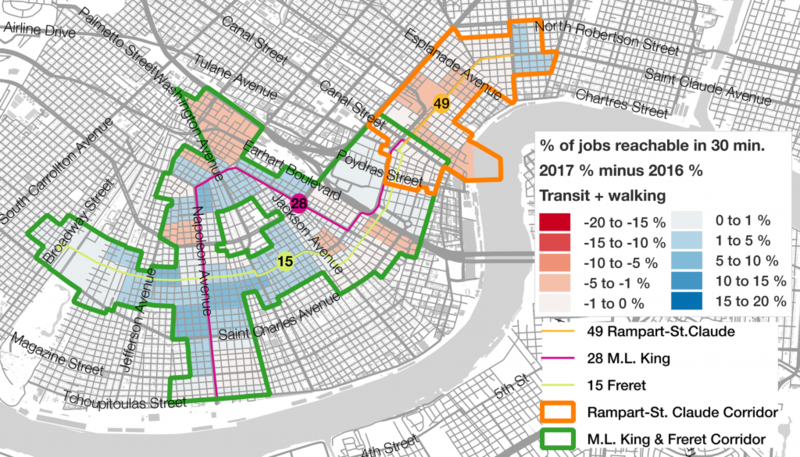 This is a detailed study of rider demand and travel patterns and – if warranted by the data and rider feedback – a redesign of some of our transit network to ensure better, more reliable connections to jobs and opportunities. A smart network redesign can significantly improve transit travel time and reliability without the need for immediate new funding. You can get a primer on the concept from our friends at TransitCenter. Finally, we need to move forward with a regional conversation on costs and how to prioritize and pay for items in the plan. In April 2018, the RTA released a cost estimate for implementation of the total plan and ridership projections. That’s an important step, but leaving it at that will not help, as the total cost estimates – more than doubling annual operating costs, plus significant one-time capital investment costs over the next 20 years – seem daunting without context, priorities, and a plan of attack. The RTA says they are currently working on a line-by-line breakdown of SMP costs. Using that, we need to more completely determine what order to prioritize both short-term and long-term action items and how to generate needed additional revenue. This public conversation needs to start now.